This super soft pink polka dot comforter would make the perfect gift for any new-born. 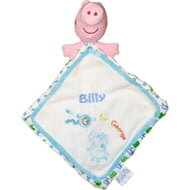 Embroidered with your unique message over two lines of 20 characters. 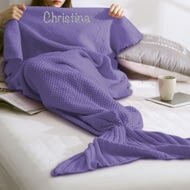 This purple mermaid blanket is perfect for getting warm and cosy!